Cosmopolitanism and relevant notions are widely discussed in philosophy of education and educational studies more generally. There is a vast literature on the topic that often invites conceptual discussion and requires some work in the direction of crucial clarifications. 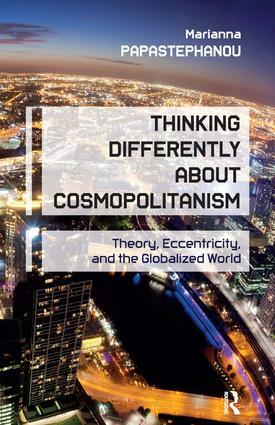 Thinking Differently About Cosmopolitanism argues that a new conception of cosmopolitanism is needed and addresses this need by formulating a conception of cosmopolitanism as an "eccentric" ethico-political ideal. Such cosmopolitanism is eccentric in the sense that it decenters the self, it cultivates centrifugal virtues, and it questions the concern for the globally enriched self. In this book, Papastephanou lays the foundation for a more refined conception of the topic, and provides a fruitful interdisciplinary discussion of its relation to globalization, Eurocentricism, developmentalism, and modernity.